Well, well. The pundits and the pollsters had it completely wrong and here’s David Cameron with a workable majority. What’s more, the new business secretary is hanging a picture of Margaret Thatcher in his office. Stand by for five years of a low tax/high enterprise economy. Enough of politics: I’m sure you can wait until 2020 to watch the next Leaders’ Debate. Let’s turn our attention to something rather more restful: music. The speaker’s rationale was that music undergrads do a wide variety of jobs to fund their degrees – and hence they’re exposed to a lot of businesses. But I thought it must go further than that – especially as I remembered writing this post about the lessons we could learn from the rapper, record producer and hugely successful entrepreneur Jay-Z. Was Jay-Z a one-off? Or does musical ability go hand in hand with entrepreneurial ability? It certainly seemed to as the next day the papers were full of stories about Gene Simmons – ‘the financial powerhouse behind Kiss’ – and his net worth of $300m. No entrepreneur can succeed without ticking those four boxes – but let me pick up on the last two points in more detail. Firstly, musicians – and entrepreneurs – need to collaborate. Well, if anyone reading this blog has ever played in a band (or even the school orchestra…) you’ll know that once the collaboration goes, so does the band. The ability to collaborate successfully is going to become an increasingly important skill for the entrepreneur. Over the next five years we’re going to see more and more people starting their own business – we’re all going to be working with freelancers more, and in many cases those freelancers are going to be people we’ve never met. Skype may become the business equivalent of practising in the garage, as successful collaboration increasingly becomes key to building a business. Secondly, brand – or identity, or USP. Call it what you will. Every successful musician has a recognisable brand – and they know their target market. Whether it’s Jay-Z, Kiss or One Direction (sorry) they all know their market and the brand is tailored to it. Let me give you a simple example. Why does a band need a logo if it’s not a brand? 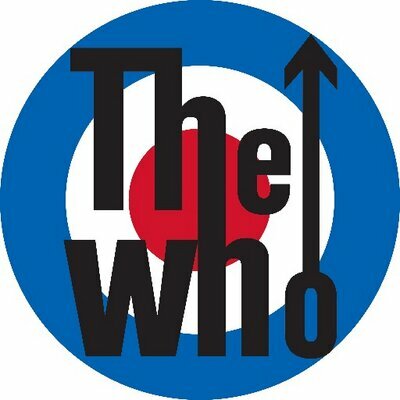 And some of those logos (AC/DC, the Stones, the Who – off the top of my head) are among the most instantly recognisable logos anywhere. Too true. And if that’s happened there’s no way he’ll survive. And sure enough two days later he’s gone and the bookies are betting on the replacement. Another football manager handed his P45 for ‘losing the dressing room.’ Or – if you’re not a long-suffering football fan – losing the respect of his players to such an extent that they’re ignoring his instructions and quite possibly deliberately playing badly in an attempt to get the manager sacked. The parallels with business are obvious. Anyone who’s worked in a large organisation has seen instances of managers ‘losing’ their teams. They fail to get the best out of them, they fail to develop their full potential – and when it all goes wrong they very quickly shift the blame on to the team. I saw it any number of times in my business career: sometimes it was hard to pin down the cause. Was the manager making mistakes – or was the culture in the company such that all managers were fair game? But whatever the cause of the disease, the first symptom was always the same. I talked about three things the owner of an SME simply couldn’t accept – dishonesty, negativity and mediocrity. Disrespect is the fourth one – and not only can you not accept it, you need to take action at the first hint of it. The workplace is far less formal than it used to be. And ‘banter’ – or ‘bantz’ as I believe we’re now supposed to call it – seems to be the only way a lot of people can communicate. The problem is that one person’s banter is someone else’s sexism, racism – or outright disrespect. So what do you do if the problem rears its ugly head in your business? At first glance it’s easy to say the problem won’t apply to most members of TAB York: after all, they’re not huge companies with multiple teams and corresponding managers. But I think disrespect is even more worrying in smaller companies – especially as the business starts to grow. Most of my members and potential members probably follow a similar business model: owner(s) – one or two trusted lieutenants – and then the team(s). So the problem of disrespect is easy to spot – but in a small company it can be remarkably hard to tackle. Twenty or thirty years ago it would have been simple. Find the ringleaders and fire them. Not so today – not unless you want to spend your days with the HR lawyers and the employment tribunal. But if one of your trusted lieutenants is under fire from his team, you cannot allow it to continue. You have to find a solution – and you may have some tough questions to answer. Do you trust your lieutenant? Is he a key part of your long term strategy? After all, if The Alternative Board is about anything, it’s about building a successful business and making sure you never miss the Nativity Play. The layer of management underneath the owners is absolutely crucial to that. There’s one last question to consider: how does the owner of a business command respect? It’s easy to say that the answer is to work harder/longer than anyone else: to be able to do everyone’s job. But in the long run that will damage your health, your family and almost certainly your business. As I said last week, you command respect by leading: by setting the direction, outlining the vision and ultimately, empowering your team to achieve their potential and get there themselves. I’ve written about motivation before: but it’s one of those subjects that’s worth re-visiting. So for this week, here are my five favourite ways that owners of SMEs can motivate – and get the best out of – their team. There are some interesting stats from the USA. Gallup conducted a year long survey of American workers – and found that 70% don’t believe they’re engaged at work. Chief reason for this? Lack of feedback from their boss. A global survey by Towers Watson found that a majority of people planning to change jobs cited infrequent and ineffective communication as one of the main reasons for their dissatisfaction. So feedback’s essential – and that can include criticism, as long as it is positive, constructive and – see the point above – it is clearly part of the company’s overall direction. ‘I’d never ask my men to do something I wouldn’t do myself’ may be one of the oldest clichés in the book but it remains true – especially in business. If you’re not committed, you can’t expect your team to be committed. The same goes for punctuality, looking after the clients and taking the trouble to get it right. If you don’t, they won’t. Many members of TAB York will tell you that delegation was one of the hardest skills they had to learn. Yes, it is your business – and yes, you probably can do everything. But if you’re going to build a successful team and a successful business you’re going to need to trust your team and empower them. Nothing motivates people more than knowing that their boss trusts them and will back their judgement. Remember why you started the business? You wanted to be in control of your time: you didn’t want to miss the Nativity Play because some distant head office had decreed that you should go to a waste-of-time conference in an anonymous hotel off an anonymous motorway. Your team are no different – and as flexible working becomes more and more the norm they’re going to expect to be at those not-to-be-repeated family events. Without doubt the most successful teams I see when I visit the TAB York members are the ones where the boss really understands that everyone’s work/life balance is crucial. Five simple ways to make sure you motivate your team. I could easily have taken the list up to a dozen, but these five are the ones that I’ve seen work consistently for SME’s. If there’s a crucial one that you think I’ve missed, let me know. In the meantime, have a brilliant weekend. No strategic alignment – no decision can be taken in isolation: it has to fit in with your long term goals. I’ll come back to this one, as it is so important. Failure to communicate – entire forests have been wiped out by the amount of books, papers and essays written about the importance of communication. And yet still people don’t do it. Isolation – this may seem like it’s the opposite of over-dependence, but sometimes you do need to consult. You just need to get on and do it quickly. Finally, lack of technical knowledge. I couldn’t agree more: today the person with the right technical knowledge may be a 23 year old coder who’s been with you for six months. Knowledge is no longer the preserve of the boardroom and good leaders know there are times when they simply have to get out there and learn. Let me go back to a couple of those points – no strategic alignment and failure to communicate. No major business decision should stand alone: every decision has to be part of your long term strategy – and move you towards accomplishing your long term goals. Everything should flow backwards: this is where we want to be in five years’ time. Fine, these are the decisions we need to take now to help us get there. And if the decision you’ve just taken isn’t helping you get there, you almost certainly need to re-consider it. And as we’ve discussed many times on this blog, communication is the key to all things – not least because that 23 year old coding genius may well spot a flaw in your decision. You’ve got to take the team with you and, increasingly, you need feedback and expertise from the whole of your team – but they can’t do that if they don’t know what you’re doing or what you’ve decided. I was talking to one of my Board members yesterday. He made the point very forcefully that some of the best ideas in his company come from the youngest and newest members of the team. Sadly, many businesses still have a ‘serve your time and then we’ll listen to you’ culture. Make sure yours isn’t one of them, because ‘years spent’ no longer equals the ideas, knowledge and insight you need in a changing world. As the old saying goes, ‘the best meetings are held at round tables.’ Everyone’s opinion matters; everyone’s ideas are worth listening to. …But no, I’m not leaving you. I’m thinking instead of the situation all employers will face at some time. One of your employees is going to say, ‘I need a word with you’ and tell you that they’re leaving. Quite possibly you won’t have seen it coming. I remember working on 12 months’ plans and sales forecasts at Nestle when one of the key parts of those plans walked into my office and said she’d received a better offer. Not for one minute had I anticipated it. For a while I took her resignation personally. Should I have seen it coming? Could I have managed her better? The reality was that she’d received a better offer; she was ready to move on and the new job better fitted her family circumstances. All I could do was wish her well. So what should you do when it happens to you? You may be losing a key employee but you need to find a way of making it a positive for the business: here are six points that may help you do that. Don’t take it personally. Salesmen: writers: actors. Everyone’s told not to take rejection personally and everyone finds it almost impossible to do. But the reality is that your soon-to-be-ex member of staff received a better offer or felt it was the right time to move on. And if they’re leaving to set up their own company what can you do except offer your congratulations and support? After all, that’s what you once did. Learn from the experience. If you didn’t want this employee to leave, what could you have done differently/better? Were they sufficiently motivated? Could you have provided better working conditions? Very often these ‘softer’ factors are just as important as money – and with the new laws on flexible working that have just been introduced that’s not going to change. Think hard before you make a counter-offer. In many ways this is the natural first reaction. But if my experience is anything to go by, don’t. It’s one of the lessons you should have learnt as a teenager – when a relationship is over, it’s over. And whether it’s your first girlfriend or one of your team, there’s no going back. I’ve made counter-offers and persuaded someone to stay twice in my working life. It didn’t work out either time: in both cases the employee still left and all we’d done in the interim was pay a higher salary. Stay Positive. At some point the other members of staff need to be told – and the point here is to stay positive. Someone leaves – so someone else gets the chance to shine. And the way to de-motivate the entire team is to convey the ‘X has left. We’re all doomed’ message. You’re the leader and it’s your job to lead. Whether X has left or not, you’re still leading your troops to the Promised Land. Look inside your own company. This has been a recurring theme of this blog. Your team – and the individual members of your team – are almost always capable of more than you think. So before you go outside the company for a replacement look inside the company. Very often someone you thought was irreplaceable leaves – and you find that not only were they very replaceable, they were also holding other people back. There is a story – and whether it was originally true or not doesn’t matter as it’s now accepted fact – that on the way back from the 2-0 mauling by Olympiakos David Moyes was spotted by the Manchester United players reading Jim Collins’ book, Good to Great. Footballers being teenage boys much sarcastic comment was passed and the The Chosen One’s stock fell even further – and as we now know, it wasn’t long before Moyesie was clutching his P45. The Daily Mail had plenty of fun with the story as well, pointing out that ‘achieve BHAGs – Big, Hairy, Audacious Goals’ – didn’t mean signing Marouane Fellaini and that Moyes took ‘be a hedgehog, not a fox’ rather too far and had seriously prickly relationships with several players. But hang on. Good to Great is a bestselling book. It’s stood the test of time. It can’t be all bad – and it isn’t. ‘Be a hedgehog, not a fox’ is just another way of saying keep it simple: focus on one thing at a time. And if there’s one characteristic that anyone who’s built a successful business has it’s exactly that. They identify the single most important thing they need to do and they focus on it until it’s done. And then they move on to number two. No, David Moyes’ mistake wasn’t reading the book: it was letting his players – and a Daily Mail journalist – see him reading the book. In the laddish culture of a football club – especially one looking for a scapegoat – that was never going to be a good idea. So what other mistakes did Moyes make? And what can we learn from the most spectacular management failure of the last nine months? • …And the fact that you know where you’re going. David Moyes mumbled excuse after excuse and constantly gave the impression he was making it up as he went along. I’ll admit that he wasn’t helped in this by some ridiculous decisions from the Board but did he ever look and behave like someone with a long-term plan? No. • Finally, don’t have favourites. If you’ve read The Secret Footballer you’ll be aware of the phrase ‘the boss’s son’ – the player who never seems to be dropped, irrespective of how badly he plays. You will have to argue long and hard to convince me that Wayne Rooney’s five year, gazillion pound contract didn’t have a serious effect on the team’s morale. Even if a member of your team is completely and utterly out-of-this-world, business, like football, remains a team sport. In last week’s post I talked about dealing with more than one person when you’re dealing with a customer. That the buying manager won’t always be the buying manager and if you’re going to have a really strong relationship with a company you need to build contacts with more than the person who gives you a purchase order number. That’s true even for a business like mine – essentially my clients are the owners and directors of SMEs in and around York. They’re the ones who come to the Board meetings; they’re the ones who write the cheques and on the surface it’s a 1:1 relationship. But if I only spoke to my clients, I couldn’t do my job properly. When I go to see a Board member I always talk to – and try and build a relationship with – the key members of their team. Number one, they’re bright, intelligent, interesting people. And if I only talk to the boss – to my direct client – then I only get one point of view. Very often one of the team will say something to me – make a suggestion or a comment – that they don’t feel comfortable saying to their employer. That gives me real insight – and something I can feed back to my client when I talk to him or her. The old model of business was the ‘bow-tie’ model: one point of contact in your company had a relationship with one point of contact in your customer’s company. Your sales department dealt with their purchasing department – or in more extreme cases, your sales manager dealt with their purchasing manager. The business relationship that’s usually quoted as the one to change all that is the long and successful partnership between Procter & Gamble and Wal-Mart. It’s been cited as a text-book example of cooperation between companies and there’s an interesting article here. The starting point for the success was simple; the two companies didn’t see it as a traditional supplier/retailer relationship. It was a partnership – to use a favourite phrase of this blog, they thought win-win. If they worked together, everyone would benefit. That meant that the old model didn’t work anymore. The relationship wasn’t owned by the sales manager and the purchasing manager. It was owned by everyone. So computer systems people talked to computer systems people. Distribution and logistics did likewise. Ditto for packaging and marketing. ‘Game-changer’ is an overused cliché – but this relationship was exactly that. Everyone benefitted – including the consumer. So that’s why you’ll always find me talking to as many people as possible when I visit a client – and as you know, it’s no longer all about me. Jackie Mathers and Julia Sutton-McGough have been with me for over six months now. Both of them bring new qualities and new insights to TAB York and the ‘team’ approach is already starting to benefit clients – especially when my team is working with our client’s team. For me, that’s the real future of executive coaching. But my immediate future looks rather different. It’s the garden centre and B&Q. Yep, it’s finally Easter. The time of year when the sun shines, the children eat too much chocolate and men-in-suits grab a spade one day and Google ‘chiropractor’ the next. Enjoy the break!  Stock control, production and delivery?  Relationship with your clients/customers?  And what would be the biggest problem you faced when – tanned and smiling – you eventually came back? As I said last week, ideally the answers would be nothing, nothing, nothing and ‘there wouldn’t be one.’ The trouble is that we don’t live in a perfect world and for most TAB members and potential members the Four Week Test provides an all too reliable examination of the business they’re building. So, assuming you’re running a small to medium sized business and that the success of the business is in large part down to you, how do you pass the FWT? As I said, at some stage you have to pass – because if you don’t the business won’t be a very attractive proposition as and when you finally want to sell it. Obviously, it comes down to your team: the people who are going to be left behind when you go on your gap month. Assuming you’ve found the right people, motivate them. Yes, that means money and yes, it may mean giving them the chance to acquire some equity in the business. But read this blog from a Board member: there are plenty of ways of getting the best from your staff, and this is one I must admit I hadn’t previously considered. Choose the right people, motivate them and trust them and you’ll be amazed at what they can achieve. And even more, what they can achieve without you there. Being away gives people the chance to step up, take responsibility and try things they probably wouldn’t attempt if you were there. A person who has not done one half his day’s work by ten o’clock, runs a chance of leaving the other half undone. I’m not quite as up to speed with electronics as some of the other guys are, so I still use a big A4 diary. Who’s the quote from? Andy Flower, team director (that’s ‘coach’ in old money) of the England team trying to retain the Ashes in Australia this winter. The quote is in an article on the BBC website: you can read it here. Flower – the former Zimbabwean batsman who led England to the top of the test rankings – makes some excellent points, particularly on getting the best out of a team of individuals. It’s one of those times when business can learn a lot from sport. Cricket’s always struck me as fascinating: it’s a team game and it’s an individual game. In no other sport is it so plainly evident that the team succeeded but you failed. The team can win by an innings and plenty: you can be clean bowled first ball and lose your place. So the coach’s job is hard. The only way for the team to win is for individuals to perform to their best. But how do you get 11 very different characters to do that? Well, the answers are in Andy Flower’s ‘coffee-stained A4 diary.’ And here are five of them that I picked out. None of them will be new to you – and you’ll instantly see that they’re every bit as relevant in managing your company’s team as they are in managing the England cricket team. Communication Part of the preparation involved a camp [before the team left]. We wanted to educate the players on effective communication, leadership and how to give and receive feedback in a healthy and constructive fashion. I don’t think I’ve much to add to that. Anyone who’s ever played a team sport will know that there’s plenty of ‘feedback’ – just as there is in business. But you have to make sure it’s constructive feedback that builds the team, not negative stuff that breaks it down. Growth Flower places a real emphasis on helping his players grow – both as individuals and as cricketers. They’re all encouraged to work towards continuously improving: We’ve been winning quite a lot. But if we don’t keep improving we’ll slow down and the opposition will catch us up. Planning The planning has been meticulous. We’ve requested that the wives with younger kids arrive a few days earlier than we do, so they and the children are over jetlag by the time we arrive – so the players’ sleep isn’t affected. As you can see, there’s more to a cricket match than inducing Michael Clarke to nick one of Jimmy Anderson’s outswingers. In exactly the same way that there’s more to getting the best out of your staff than making sure they’ve been trained on the latest software. Trust I don’t want them constrained by curfews. I want them to make decisions like adults. This may not seem a great idea when Joe Root is getting punched by David Warner at 2:30 in the morning, but I think Andy Flower is absolutely right. Sooner or later you have to trust people: and in my experience the more trust you place in them, the better they respond. Fun We want them to have fun too. We want them to finish the tour of Australia saying it’s been the best three months of their lives. And doesn’t that apply in business as well? If you don’t enjoy it, then the chances are that in the long run it won’t be profitable. I think there’s a lot of common sense in those points and if you’ve five minutes I’d recommend reading the full article. But how does Andy Flower himself stay focused, and make sure he’s also constantly improving? I have used an executive coach for two or three years now, he says. He’s a great sounding board and also challenges me about my own personal growth. This week it’s Jackie’s turn to step into the spotlight, introduce herself and outline what she’ll bring to TAB York and its members. You’ve known Ed more or less since TAB York started, Jackie. Why join Ed now? I have. Ed started running TAB Boards at York St John University – I was Dean of the Business School at the time – almost from the word go. So I’ve come to know him really well over the last three years. I thought I’d come to know and understand TAB as well, but it wasn’t until I was re-assessing my own work/life balance that I really appreciated what it offered. No, but it’s a real man’s position. Other than work/life balance, what else attracted you to TAB? That’s very easy to answer. Values. Integrity. The chance to develop personally. And the challenge – and rewards – of helping people. I’m looking forward to it enormously. Yes, managing academics does have its own particular challenges… But I do think a lot of the knowledge and experience I gained at the University will prove really valuable to TAB members. So what qualities are you looking for in your own Board members? Another easy one to answer. Ambition, integrity, business experience and a willingness to share it. A determination to succeed and – as Julia said last week – a sense of humour. What do you feel you can offer in return? Number one, I’m determined that my Boards are going to be successful – and I define that as everyone on the Board getting what they want and need from it. I’ve a lot of experience in bringing diverse teams together and getting results and that’s the sort of expertise I’m aiming to bring to TAB. I hope I’m one of those people that can see the big picture and the detail needed to make it work. Other qualities? Determination, focus, integrity – what you’d expect from someone working with Ed. …Which takes us on to the question Julia was so careful with last week: what can you contribute to TAB York that Ed can’t? At the risk of being accused of spending too much time with politicians, I don’t think it’s a question of individual qualities, so much as what the team as a whole can offer. I’m genuinely excited at what we can deliver. Between the three of us there’s some serious expertise – add that to ‘the collective wisdom of the Board’ and it’s a very powerful combination. Next week the blog will be back in its normal format but for now I can only echo the comments of Jackie and Julia. I’m genuinely excited at what they bring to TAB York and at what the team can offer members and potential members. We’re absolutely committed to helping you build your business and – as Jackie said – making sure you have your work/life balance exactly where it should be.